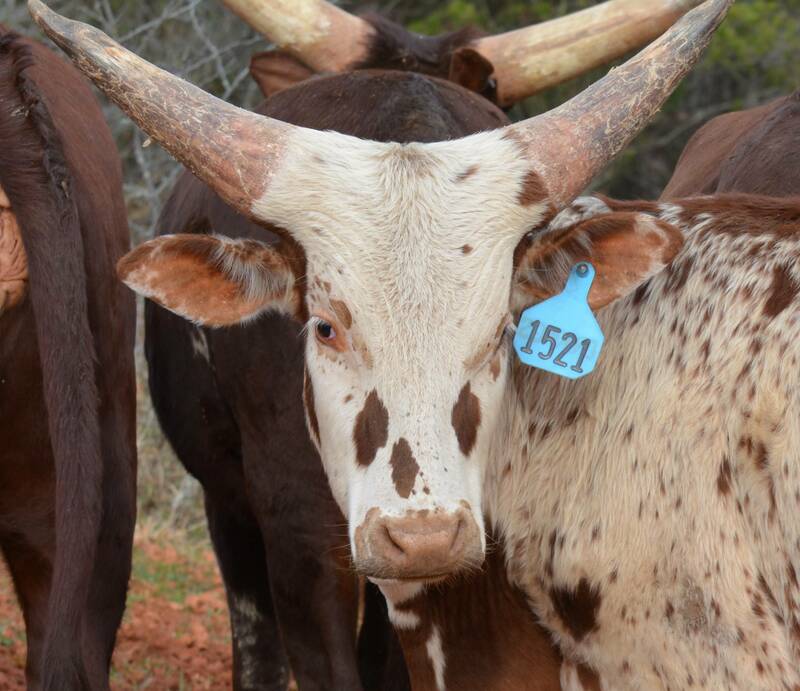 We made a mistake steering this exceptionally bred and colorful male. 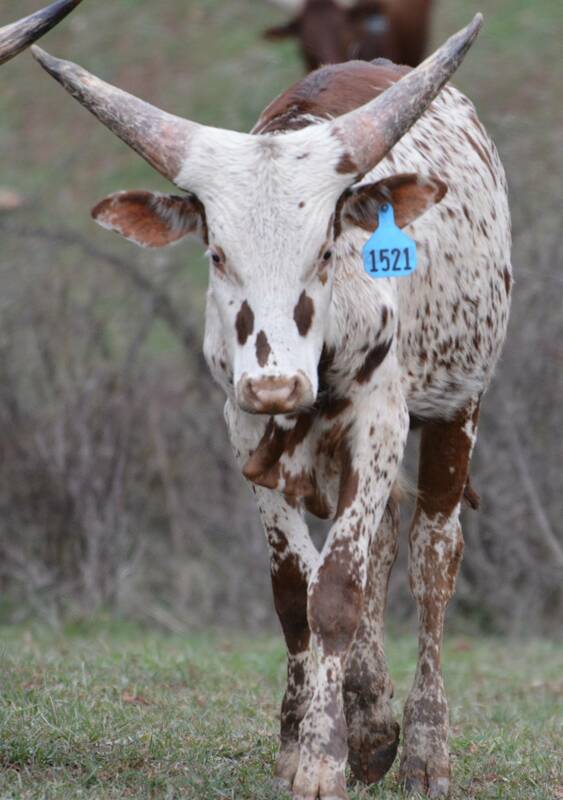 He will be a beautiful PR pasture ornament sure to grab the attention and memory of all who visit. 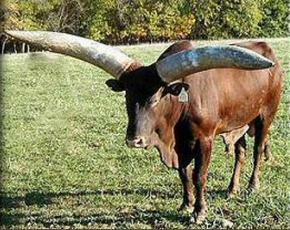 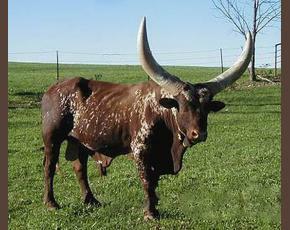 Steers will grow twice the horn compared to staying a bull. 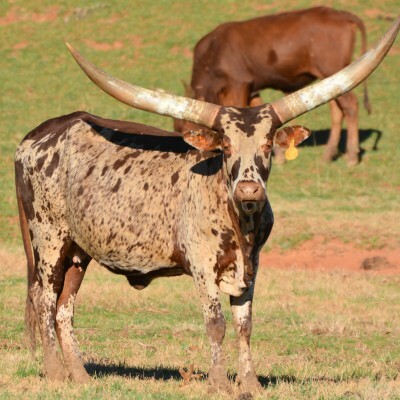 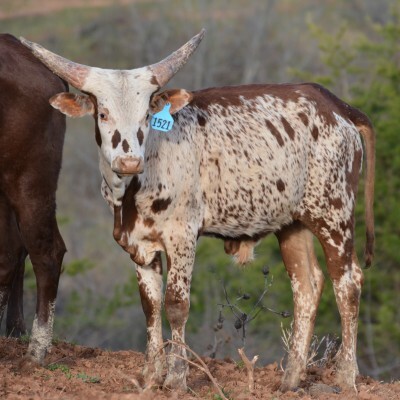 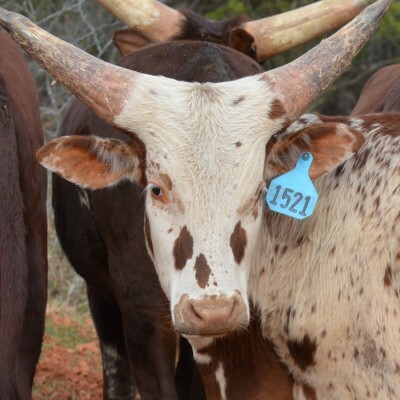 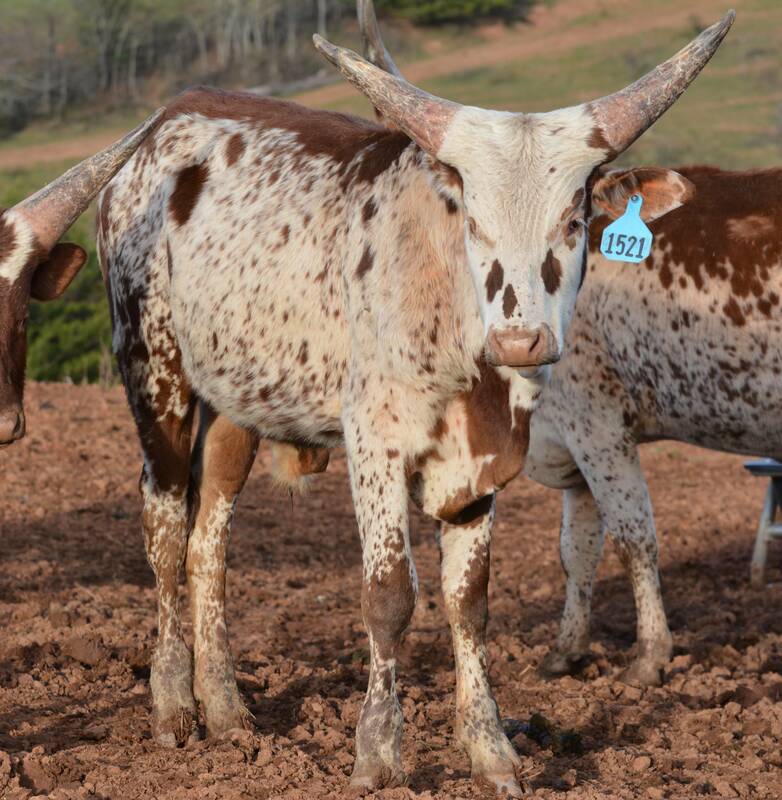 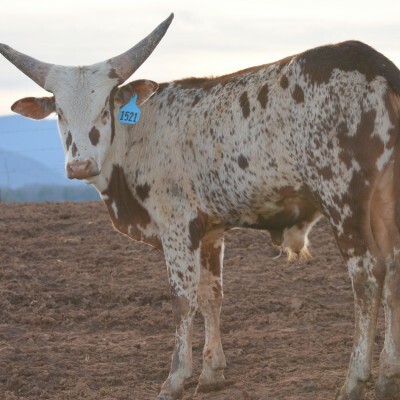 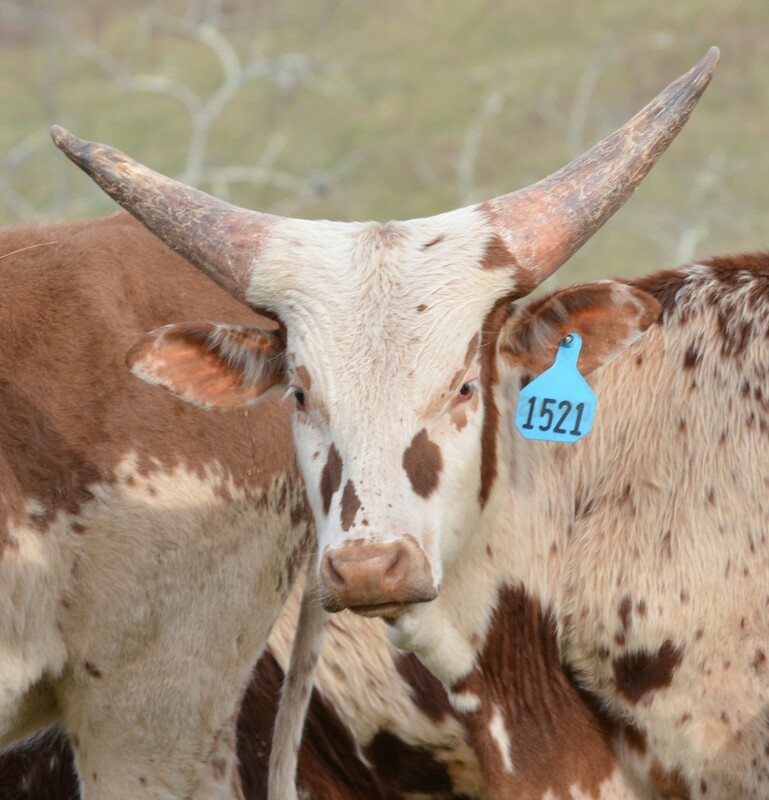 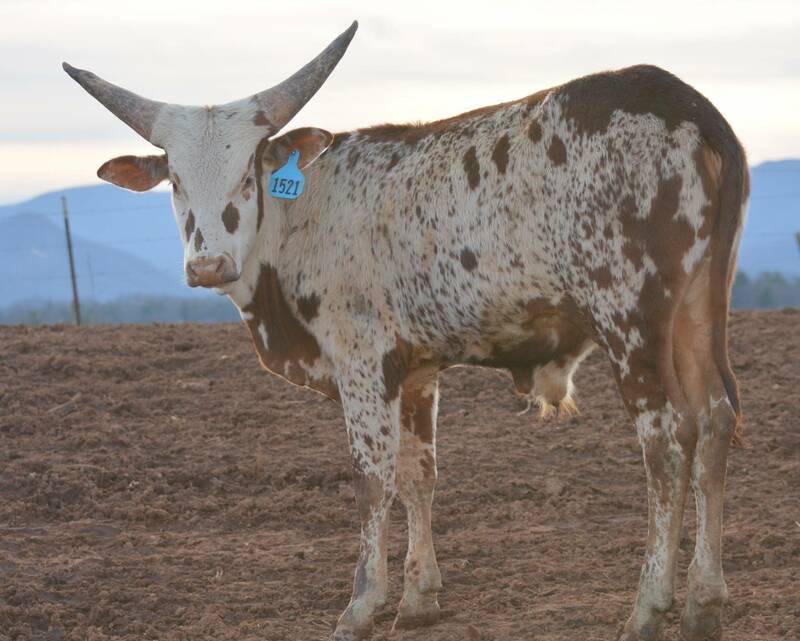 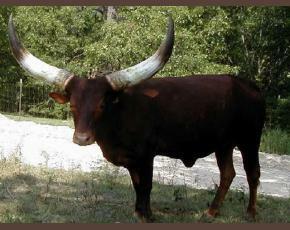 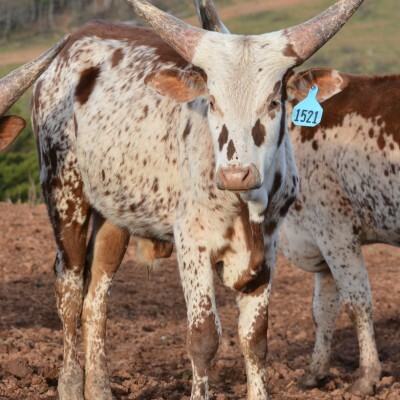 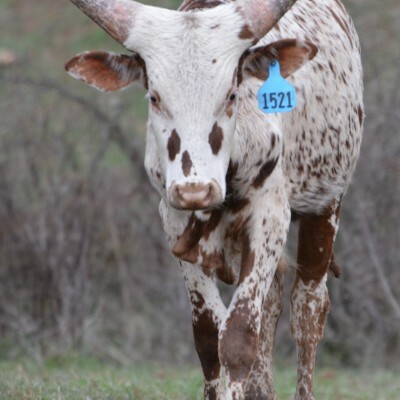 Watusi steers are just now becoming popular for their PR potential. 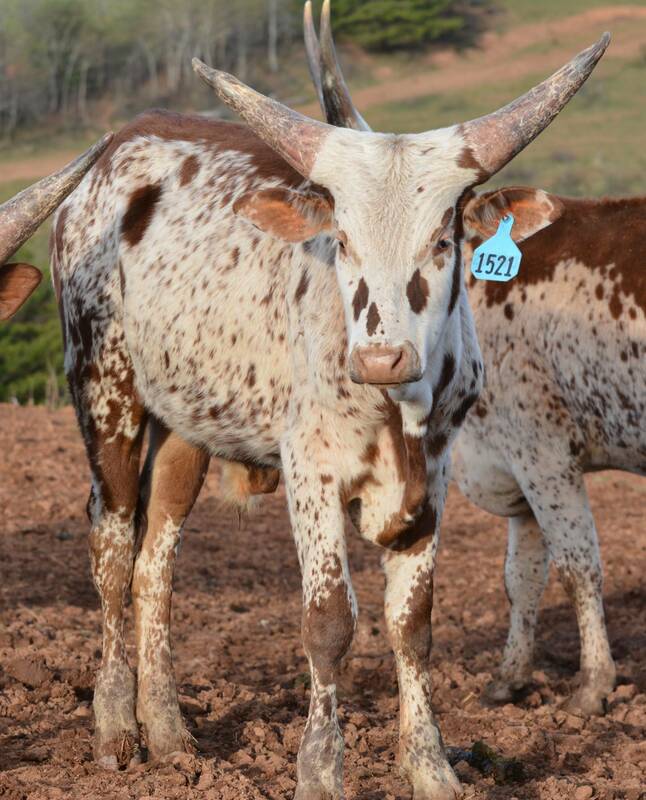 People just love watching these exceptional horns continue to grow for the steers entire life. 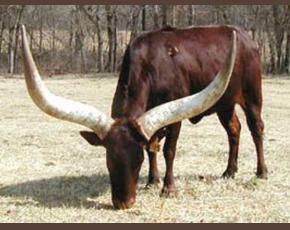 They are the best car stoppers and memory makers for promoting your operations. 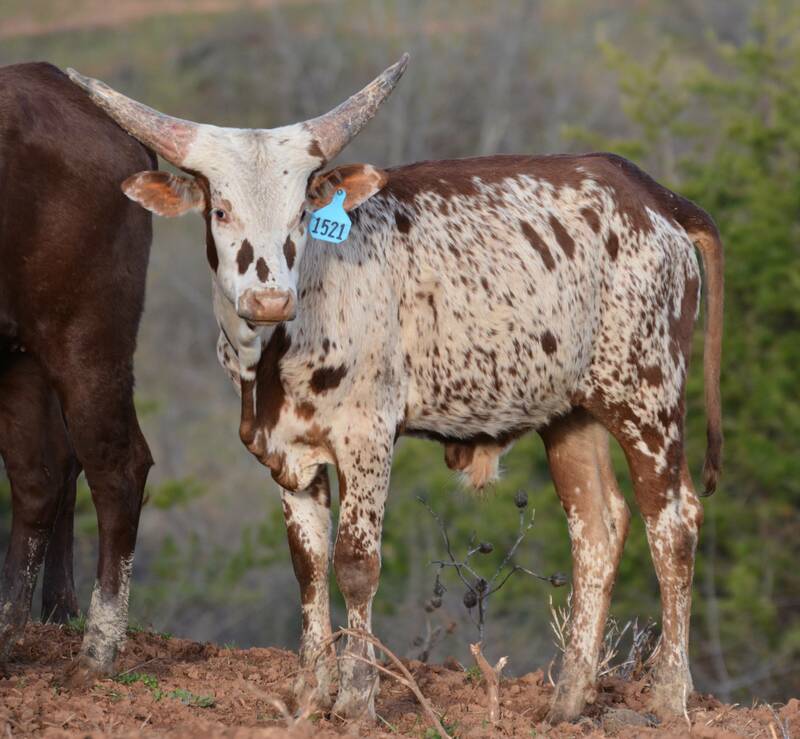 They add value to both your operations and your personal enjoyment watching their horns continue to grow and grow.. As my friend Darol Dickinson says, “Their horns will grow longer than a list of unfulfilled campaign promises.” King’s Dilos Wolf is a special steer being offered at $4,500. 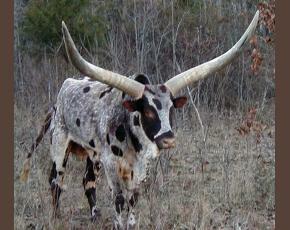 He is a rare find.